Hot off the press, CARE’s Annual Report to CalRecycle! Now on its 8th quarter as the Carpet Stewardship Organization approved by CalRecycle to manage AB2398, CARE is pleased to announce that data clearly indicates an increase in carpet being diverted from landfills but an increase in recycling as well. 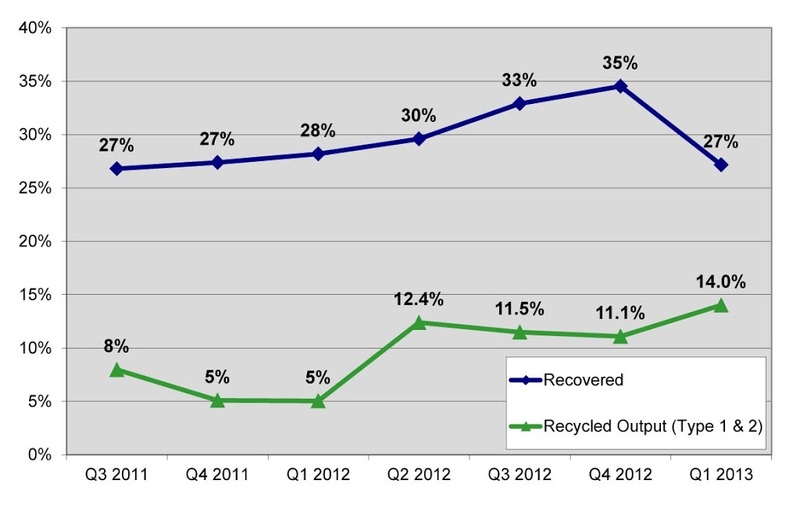 Specifically, 14% of the PCC stream is being recycled, 2% above the 2012 goal of 12%. With respect to market-growth of secondary products, roughly 25% (and growing) of the diverted carpet stream is PET. Due to polyester’s limitations in some of its physical and chemical properties, it does not currently have as wide a scope of market outlets as Nylon 6 or 66. 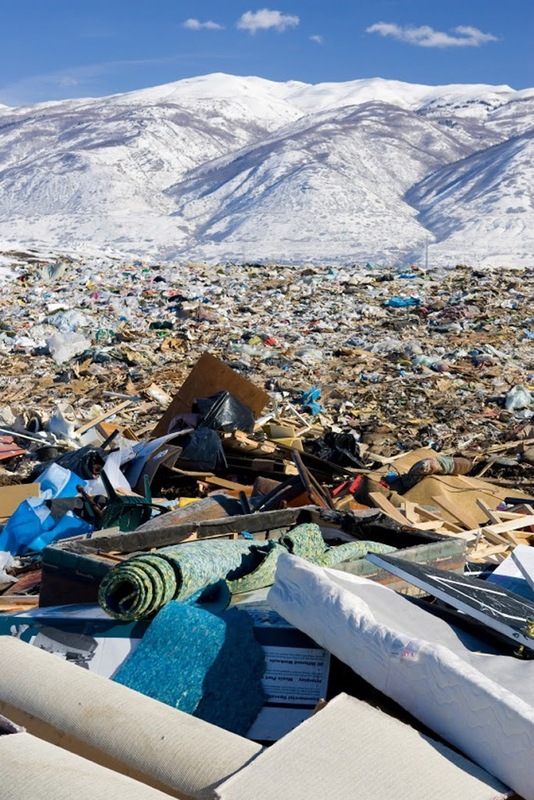 However, CARE is diligently working with the recycling community and organizations on the development of new products and processes for this increasingly common fiber. 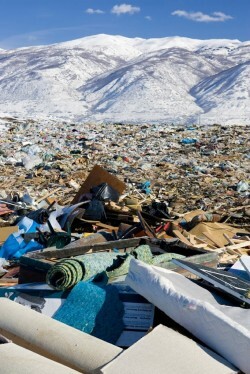 Specifically, as approved by the Sustainable Fund Operating Committee (SFOC) during the June 2013 review, CARE will hire an individual to be “boots on the ground” in California and to work tackle opportunities for recycling non-nylon materials including PET. Some other plans looking forward for AB2398 include implementing a bonus incentive for Type 1 recycled output. Check out future posts for a spotlight on organizations leading the way on PCC recycling. Until then, please refer to CARE’S hot off the press annual report to CalRecycle to get the latest information on AB2398; milestones, hurdles and more. Sustainability is increasingly appealing to businesses and homeowners alike and thanks to a variety of incentives like LEED and NSF, the demand for post-consumer carpet (PCC) is growing every year. 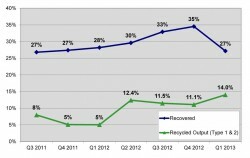 However, it takes open communication between manufacturers, retailers, collectors, entrepreneurs and consumers to make the reuse and recycle of PCC a reality and since CARE stepped up to the plate eleven years ago, it has made great strides in advancing its mission to promote market-based solutions that increase landfill diversion and recycling of PCC and encourage design for recyclability. In little over a decade CARE has grown to 452 members across the nation and facilitated the diversion of roughly 2.6 billion pounds of post-consumer carpet from landfills in the U.S., extending its reach every year. Considering carpet is estimated to take 20,000 years to breakdown, this is a huge success! The goal of this blog is to highlight CARE’s advances and provide relevant information about the carpet recycling industry at large. We hope you enjoy and please feel free to leave comments.